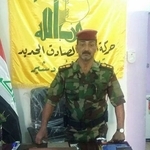 Kata'ib al-Ahad al-Sadiq al-Jadid (The New True Pledge Battalions) is an Iraqi Shi'a militia, part of the Harakat al-Ahad al-Sadiq al-Jadid (The New True Pledge Movement), which is affiliated with the political bloc known as the National Coalition for the Intifadha Forces in Iraq . 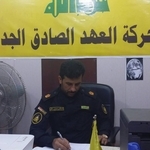 The group's most notable known offices are in Wasit governorate, Baghdad and the Siddat al-Hindiya area in Babil governorate to the south of Baghdad. 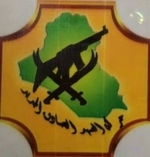 Led by one Rasan al-Shawayli, the group also uses Hezbollah imagery in its symbolism.